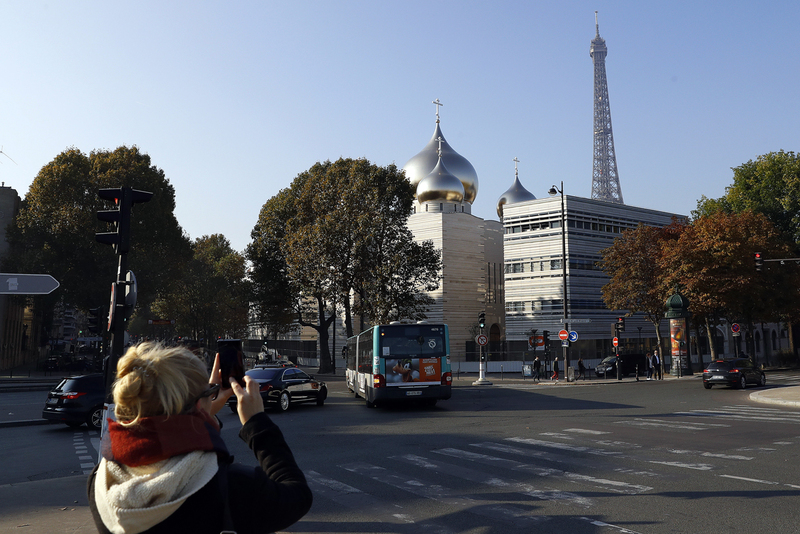 Russian Spiritual and Cultural Center will open in Paris on Oct. 19. The opening of the Russian Spiritual and Cultural Center in the capital of France will prove to be "a historic event for all our fellow countrymen," Prince Dimitri Romanovich, the eldest member of the Romanov family told TASS. He gave his regards to the French constructors and the Russian expat community in Paris ahead of the opening ceremony due on Oct. 19. According to the Prince, the relative of last Russian Emperor Nicholas II, the new center "has a very important mission to implement, that is to spread information on the historical and cultural heritage of Russia." The chronicles of Dimitri Romanovich’s family are closely connected to that of Russia’s history. The family archives captured Dimitri Romanovich’s father, a 22-year-old godson to the last Russian emperor, Prince Roman Petrovich bidding farewell to the native land in April 1919. Dimitri Romanovich has visited Russian many times over recent years. In 2015, he went to Crimea for the first time after its reunification with Russia. "Crimea is Russian again, that is the most important thing for us," he said adding that many of his relatives’ lives were connected to this Russian region. In early October this year, the eldest member of the Romanov family was bestowed with the Order of St. Alexander, a major state award. Russian President Vladimir Putin granted him the Order for his great contribution to the spread of the knowledge of Russia’s historical and cultural heritage abroad. This past spring, the Prince was an honorary guest at the ceremony of the installation of the domes on the newly-built Orthodox church in Paris. The new Russian Spiritual and Cultural Center was constructed on the left bank of the Seine river. There is the Saint Trinity Church, an Orthodox eparchy office, a conference hall and Russian language classes within an area of 4,200 square meters. Dimitri Romanovich believes that the Center will serve as "a fine symbol of the historical friendship" between the two countries. For France, allied relations with Russia have long proved to be crucial. Russia’s military support allowed France to repel Germany’s aggression in August 1914. Again, Russia stood in the way of the German war machine during the World War II. Many Parisian landmarks are dedicated to Russia. For instance, there is Pont Alexandre III, a bridge named in honor of the Russian Emperor Alexander III to pay tribute to him as the founder of the Russian-French alliance. Avenue Franco-Russe (French-Russian Avenue), which got its name in the beginning of the past century, leads to the new Russian church. The eldest member of the Romanov family considers these memories natural. "We wouldn’t have managed without Russia," he said.